If you are a first-time camper or looking for a tent which can be useful for family camping, then Ozark Trail Yurt Tent is the best choice for you. This Ozark Trail Tent can be used for other purposes also such as picnics, year-round camping, group events, family outings, or music festivals. There are other tents in the market like Canvas Tents, Dome Tents etc. which can be used for the same but this tent has its own specialty for being popular in the market. The amount of space inside the Ozark Yurt Trail Tent is really amazing and it holds in the high winds very well. A good tent is the requirement of every camper to have a good experience. Yurt Ozark Trail Tent has been designed to offer comfort as you feel it like your home. The added headroom in the Ozark Trail 8 Person Yurt Tent will make your experience good and can sleep up to three adult campers. This tent is an excellent choice for Families, Groups, Adults, and Kids. 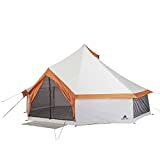 3 Is Ozark Yurt Trail Tent WaterProof? 4 How To Set Up Ozark Trail Yurt Tent? 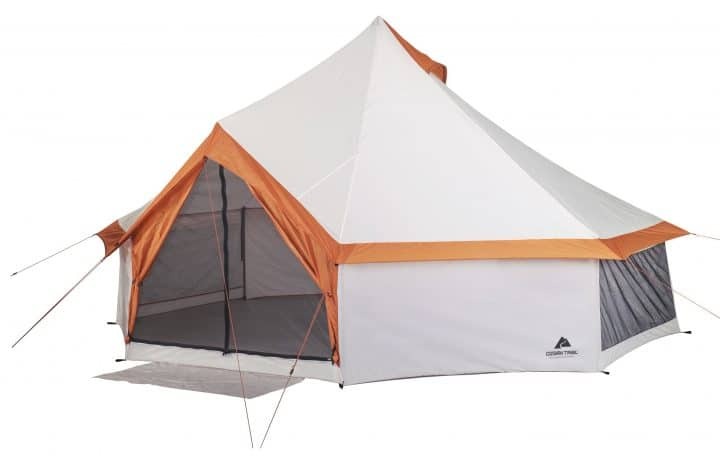 The Ozark Trail 8P Yurt Camping Tent comes with roll-down windows which have the ability to keep cool inside on hot summer nights. The hanging media sleeve supports most tablet sizes and power port to run an electric cord into the tent for power needs. The Ozark Trail 8 Person Yurt Tent also features a mud mat to help keep the interior of the tent clean. 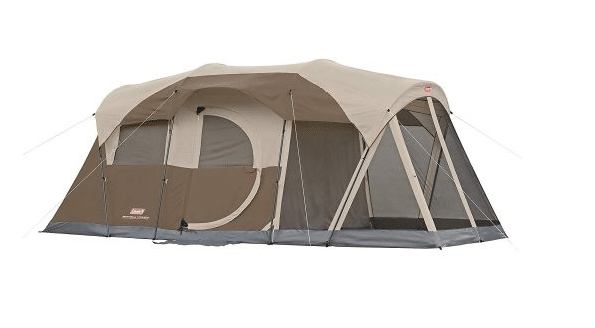 The large easy access entry makes it convenient to move inside and outside the tent. This tent has 3 Large windows for are good enough for ventilation and it will keep the tent airy and breathable. The rubber feet on the bottoms prolong the life of the floor as the poles do not have any reinforced pockets to slip into like the window poles. The poles also had clips to secure the tent to them, as well as a pocket for the point of the doorway. The tent comes with a center pole that is 3 sections with a tip that extends out to the desired height. The center pole goes through a little folding table and into a plastic or rubber cup on the floor to secure it in place. The dimension of this Ozark Trail Yurt Tent is 16 x 16 foot octagonal with a center height of 6.5 feet is best for 8 people. This tent is very roomy and good for smaller children to have a place to play while camping. There are plenty of windows and vents for good air flow and you really feel like you are outdoors when you are laying next to your screen window. 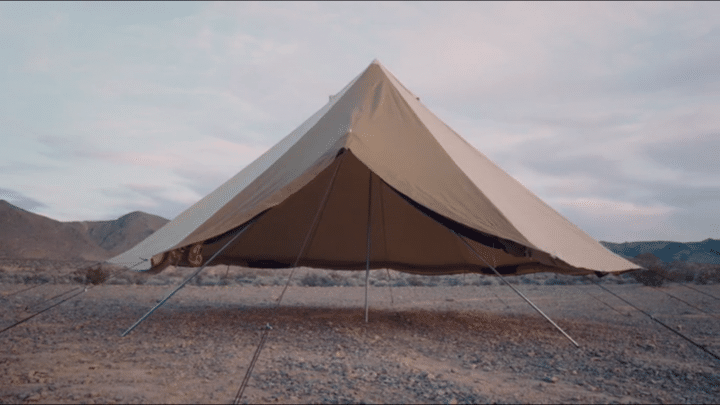 It has a lot of space inside and a 6-foot person can easily walk inside the tent. You will not feel the lack of space in this tent if there are 8 people in your camping group. You can arrange chair and table as it is much larger on the inside than it looks on the outside. There is enough space to fit 6 adults, sleeping and fit a few chairs and the table. I bet I could get 10 people in just chilling, playing music, or hanging out. Is Ozark Yurt Trail Tent WaterProof? The Ozark Trail 8 Person Yurt Camping Tent features a seam-taped rainfly for superior weather protection to keep campers dry and protected in all weather. But this is not a tent to put up in a high wind and heavy rain area. However, you can use water repellent spray all around the tent which will prevent the rainwater from entering inside the tent. The tent will keep you dry for all day and you will enjoy the camping for sure. Many people give less rating just because of the tent leaks in the heavy rain so it is a suggestion to all of them to use the water repellent spray in the rainy days. After that, the Ozark Trail Yurt Tent will not let a single drop of water enter inside the tent. How To Set Up Ozark Trail Yurt Tent? 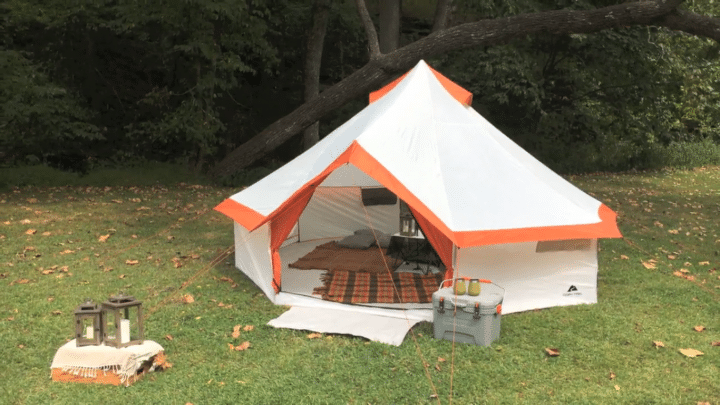 From your backyard to local campgrounds, state and national parks, the Ozark Trail 8 Person Yurt Camping Tent is fast and easy to set up for any outdoor adventure. Two people can install the Ozark Trail Yurt 8 Person Tent in about 10 minutes. Ozark Yurt Trail Tent set up process is hassle free and very easy as it comes with the fully extend center pole, place the side poles and door pole, secure the ropes, and it’s perfectly sturdy and secure. It’s really roomy inside and was not too hard to set up.